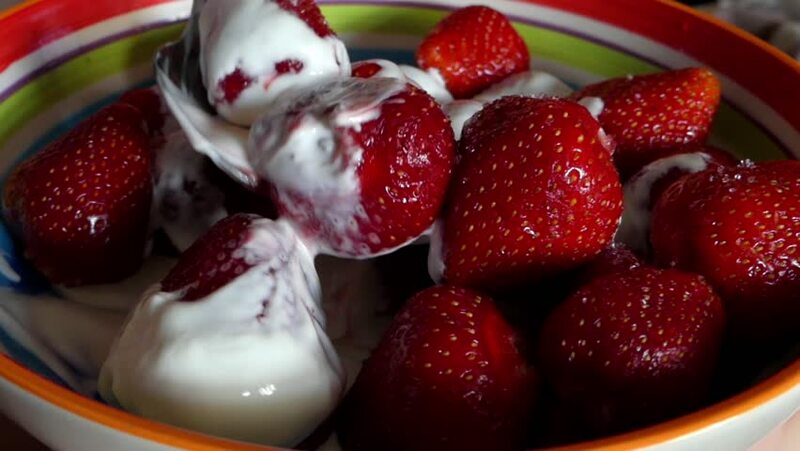 the Spoon Prevents the Strawberries With Cream. the Action in Real Time. 4k00:19Macro closeup of bowl of fresh strawberries covered in chocolate sauce. 4k00:15Fresh strawberries in the plate. hd00:47Fresh ripe organic strawberries closeup. Summer vegan food.